COMPANY VITAE: Xiaomi's stylish, keenly priced phones and tablets are a runaway success in China. Beijing 2010. 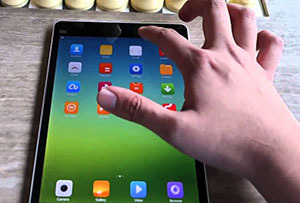 A group of eight chrysanthemum tea-slurping techies produces a customised version of the Android operating system called MIUI. Xiaomi had arrived, but only their fellow phone geeks noticed. So the founders quickly followed up with a range of sleek, high-spec mobiles and soon China's growing millions of smartphone-crazy punters were hooked. No wonder – those early Mi1 and Mi2 phones had the performance and design flair associated with western gear, for under half the price. There wasn't much not to like about that – unless you were Samsung or Apple, of course. When Xiaomi launched the new and improved Mi3 in 2013, it sold out in 90 seconds flat. Here at last was a home-grown tech brand that Chinese consumers really believed in. But it wasn't until last year that Xiaomi really got motoring, setting up in India and South America, launching a tablet (the MiPad), outselling its Californian and South Korean arch-rivals in China and shifting a whopping 61 million smartphones in total to take the world number three spot. Sales rose 135% to $12bn, and investors eager to take the call chipped in an extra $1.1bn of funding, valuing the business at $46bn – even more than Uber – making Xiaomi the most valuable start-up in the world. The Apple of the emerging markets had arrived. Lei Jun, a 46-year-old Chinese software executive turned entrepreneur, is the man behind the brand. With a fondness for jeans and black T-shirts, as well as appearing live on stage at launches, he has been called the Steve Jobs of China. He owns 77% of the business and is reckoned to be worth $35bn. Xiaomi tries to be both low cost and high quality – a blend of Ryanair and Cathay Pacific, if you will. Lei claims its phones are priced at little more than they cost to make, but the firm operates an 18-month model lifespan (rather than the more common six months) so as to profit from the falling cost of components. It only sells direct and relies on social media and fanatical customers for marketing. All the same, profit is a ticklish subject – some analysts reckon it makes less than $20 apiece on its cheaper models. Last month it launched the Mi5, its answer to the iPhone 6. Expect revenues from associated proprietary software to play an increasing role in future. Copycatting. Despite all the obvious parallels with Apple and Jobs, Lei insists that there is a lot more to Xiaomi than just another cheap Chinese clone of a pricy western rival. If the pair ever go head to head in Apple's US heartland, it will be an interesting fight.